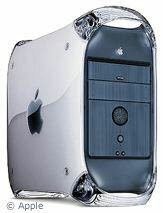 "If you're like me then you have several systems because of how affordable PowerPC Macs are these days. The issue many PowerPC users have in 2012 is not having enough power to do something with heavy CPU use and still be able to multitask effectively. These CPU hungry tasks could be anything from a script heavy site to playing video and it's nice to be able to do other things without holding back something that needs to use a good chunk of the resources. "It's nice to be able to browse the web or do whatever while you wait for some heavy lifting to finish up. Whether you have a G3 or a Quad G5 having spare CPU cycles at your disposal is what will really make any computing experience all it can be. If you have another system you can use it to take excess load and tasks off your main system. "The easiest way to do this is with two screens but one is enough thanks to VNC/Remote Desktop technology. I use a combination of two screens and the built in 'ScreenSharing' app in [Mac OS X 10.5] Leopard and I do this on a daily basis with my two main Sawtooth systems. This allows me to offload anything I want...."
"In certain ways the VNC option is actually more efficient because it keeps everything on one screen while still offloading work to other systems. The ScreenSharing window gives you a Mac within a Mac somewhat similar to virtualization but better. What makes this method better is the other OS isn't running on the same computer like it is in a virtual machine so the two are not slowing each other down besides a tiny bit of resources to keep drawing the remote window." "...I keep the second Sawtooth at 1024 x 768 which doesn't take up too much room as a remote window. None of the apps [I use on it] really need higher . . . and that size window fits well into 1920 x 1200 while not hogging too much space." "If you're running [Mac OS X 10.4] Tiger then you don't have the built in ScreenSharing app and will need a third party alternative. When I'm running Tiger I prefer an app called 'Chicken' which is a side project from 'Chicken of the VNC'. Chicken is better and was last updated in 2011 but Chicken of the VNC is the only [Mac OS X] 10.3 Panther option from these developers. It has not been updated since 2006." "In this post we will introduce you to some browsers that we did not check out before. They're very promising and will help you in your day-by-day browsing." OmniWeb (5.11.2). Free - OS X 10.4.8 and later. "...light to run. It's very powerful, it's fast and the most important thing is that they are still doing all the updates for either PowerPC and Intel." Leopard WebKit. Free - OS X 10.5 and later. Leopard WebKit forces Safari to use the latest version of WebKit, not the outdated one included with OS X 10.5 Leopard. Publisher's note: We've been using Leopard WebKit for some time now and really like it. "Too many technologies today force you to be locked into certain OS or hardware. The only reason the industry gets away with all this is because regardless of people's displeasure with things they still continue using them. This is a habit that too many practice and the only way any of us can change this is to change our habits and the devices and/or software we grow attached to. "The only thing that I have attached myself to is the PowerPC architecture and this is for no reason other than reliability and longevity. When you have used something for 18 years and it has never failed you there is no reason to stop using it as long as it can still achieve all you need it to. In terms of OS X everything after Snow Leopard is covered in horrible. Since 10.5 is so similar to 10.6 I find it a capable OS option for PowerPC while still not needing Intel hardware. As a Mac tech I have no faith in 95% of the Intel hardware Apple has produced. The early stuff in 2006-07 is still to this day the most reliable...."
"People need OS and software selection whether they realize it or not. You never know what needs will come along over the years so having hardware that lasts and offers software flexibility is ideal looking forward. "All the people still running PowerPC hardware would all be very wise to start adopting Linux into their computing world. This is the best thing for all of us looking forward because the more of us that use Linux the more the OS will grow on the platform. Apple dumped the [PowerPC] architecture 7 years ago now so it's time for those of us still using it to pave our own computing path at least in regard to achieving new abilities we don't get from old Mac software. There is no reason to abandon the Mac OS versions our systems can run but in terms of modern secure software Linux is the most logical choice...."
"It's obvious that anyone who writes PowerPC related content in 2012 does indeed care about the architecture but most of them deal with things in a way which is influencing the reader to stick to this dead end Apple path. Mac PowerPC and My Mac Collection are good examples of this . . . because all they do is point their readers to solutions for making their way in a dwindling market rather than point them to liberating and forward thinking options such as Linux." "If you intend on continuing to use your old Macs you need to think outside the box and learn how to adapt without giving up capability. We all need to stop adapting methods to keep being a slave to something no longer supported and focus that energy on true alternatives which often use different technologies but produce the same end result." "From what i see around the web only PPC Luddite, iFix Old Macs, PenguinPPC and myself ever deal with true alternatives and future thinking options like Linux." "All of us in the PowerPC community need to focus on what can move our hardware forward and Open Source OS is the best way to do that while still keeping Mac OS around for other needs where security isn't a concern. Linux and BSD are the only OS still developed for our platform and the more of us that embrace it the more it will grow." "I've got a fever and the only cure is Linux growth on PowerPC." "A large majority of people still running PowerPC hardware from Apple use 10.5 Leopard as their primary OS. This is understandable since it is the final version to run on PowerPC hardware. Although it's security technology like socket layers and sandboxing is still up to modern standards there are other areas where it is not cutting it any longer unfortunately. These would be Java and Flash. Java is halted at 1.5 forever on it, which is very insecure now, and Flash stopped PowerPC development at version 10.1. The good news is that it is totally possible as well as beneficial to live without both on Leopard." "In Leopard [Java is] actually very easy to disable. Simply go to the Utilities folder within Applications and open 'Java Preferences.app'. Then deselect any version selected in the General pane. After this click on the Security pane and deselect 'keep temporary files for fast access'. For the sake of being thorough click the 'Delete Files' button at the bottom for any that may already exist. "The next and final step is to open all the browsers you use and deselect 'Enable Java' which is how most word it. Although you have already disabled it at the system level this is just an extra measure so that your browsers tell sites right away not to bother with any Java." "[Flash] is a technology that will likely never die because of people's tolerance of it. PowerPC users for example should see Flash as the plague and avoid it at all costs. I personally wouldn't use it even if there were a modern secure version for PowerPC. In my opinion the Flash alternatives like MacTubes or similar apps make the experience more organic at least where YouTube is concerned." "Other than the Java and Flash shortcomings Leopard is actually quite a secure OS compared to WinXP or Vista or any Mac OS before it. The people still running Tiger or older should consider upgrading if you have a G4/G5 (no G3 support)...."
"Tiger and Panther were great versions of OS X but they both really lack all the advances that started in Leopard like socket layers and sandboxing. Leopard has more security built in than you could ever add to Tiger/Panther. As I mentioned in my pervious post I encourage people to use Linux also these days but for all your Mac OS needs Leopard can serve you much better." "Another real advantage to Leopard is that it has a lot more unintended natural compatibility with devices from the x86 market like WiFi and Bluetooth dongles and PCI expansion cards." Maximize with the green button. "As a former PC user, one of the biggest gripes I had when switching to a Macintosh was OS X's inability to 'maximize' a page when pushing the green '+' button on the top of a window. Well, that problem is no more thanks to a simple program called 'RightZoom.' This free program allows you to maximize any window simply by pushing the green '+' button. Also, you can choose specific apps that will not be altered by RightZoom. If this sounds like something you'd be interested in, hit the link below and give RightZoom a shot." "If you've been searching for a great notepad for a long time and have yet to find the right fit for your needs, I think your search is about to end right here. MacNote3 is a very complete product that goes beyond the capabilities of a simple notepad. It's fast to use and has a very clean interface. One very interesting point is MacNote3 is similar to Notepad or Scrapbook (applications familiar to users of Mac OS 9). This is such a powerful app, and I highly recommend it to all of you!" The writer goes on to share eight reasons MacNote3 is such a wonderful program. MacNote3 is demoware. You can try it for 30 days free of charge. Registration is $15.